Game of Thrones, with its interesting storyline has managed to garner millions of fans around the world. But it has also managed to amass fashion followers who are in love with the braided hairstyles. We bring you the best of 'twists and curls' of the ladies from the Seven Kingdoms. Daenareys Targaryen is the Queen of braids. With the final season of Game of Thrones premiering worldwide on April 15, the return of some of the epic hairstyles is inevitable. Now, everyone might not be a big fan of the storyline, with the gruesome deaths and the objectification of women, but the hairstyles don’t disappoint. The show’s leading ladies, throughout the seasons – Daenareys Targaryen, Cersei Lannister, Sansa Stark, and Arya Stark – have been an inspiration to people who love to experiment with their hair. We have rounded up the iconic braids in all of Westeros that you can try this summer. The Queen of King’s Landing has plotted and ruled with soft curls, topped with tiny braids, styled to perfection. Her hairstyles, though easy, are heavy on twists. Take the example of this one, where three sections are merged into one. It starts with taking a section of hair and braiding it halfway down. Then you take another small section from the top of each side, twist it and tie them into a ponytail. The final step is to take a large section of hair from the top and braid them. Combine everything together and voila! You have a Cersei-inspired hairdo. It’s a shame that after her ‘walk of shame’, she now sports a shaggy pixie. The Mother of Dragons is the invincible Queen when it comes to braids. Tendrils and curls are an integral part of her appearance. Although her braids are ultra-detailed, there are some easy ones too. For instance, the one where she has just two braids pulled away from her temples, and another set of braids pulled back underneath the first layer. We also like her single rope twist braid. 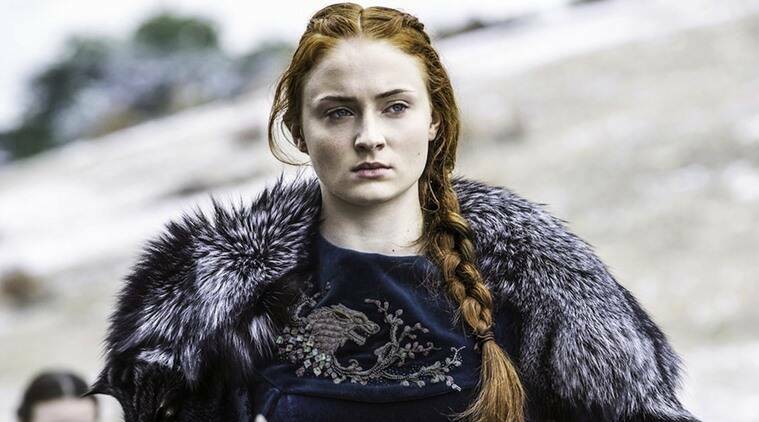 As the Lady of Winterfell, Sansa Stark has not only tried hairstyle similar to her late mother Catelyn Stark – half-up hair with small braided details – but has constantly experimented with her hair. During her days in King’s Landing, we saw her adopt the classic crown braid. Then en route to visit her aunt in the Eyrie, she went for a simple braid, tied off with twine. Side braids are also her thing. The youngest child of Lord Eddard Stark and Lady Catelyn has mostly sported the classic bob on the show but back in season six, we saw her sporting a new hairstyle that was inspired by Princess Leia of Star Wars fame. The braided buns on both sides looks adorable and is really easy to create. Just make simple braids, twist it into a bun and hold it in place with a bobby pin. We still can’t get over how dreamy Margaery Tyrell looked when she wore the romantic half knot that resembled a rose. We also like her simple hairstyle where two braids are pulled away from the temples and pinned behind the head.